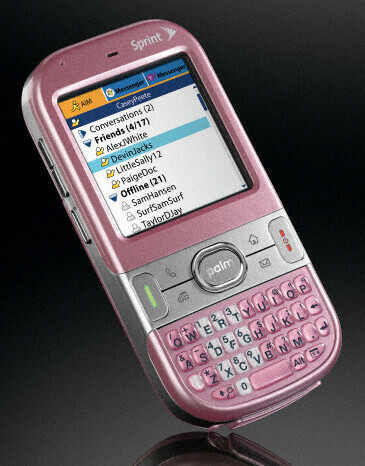 Palm Centro coming in Pink? SprintUsers forum member posted a picture of a pink Palm Centro marked with the Sprint logo on the top right corner. If the information given is true, this phone is definitely going to be a hit with the ladies and the suggested release dates (January 6 or 13, February 14) make it an easy choice for a gift for Valentine’s Day. Palm has already released a black and a red Centro and we think that if the lady Centro comes out it will have the same price and specifications.